Marta Bognar, a Brazilian wingwalker, started her career wing riding on a tiger moth in the Untied Kingdom. 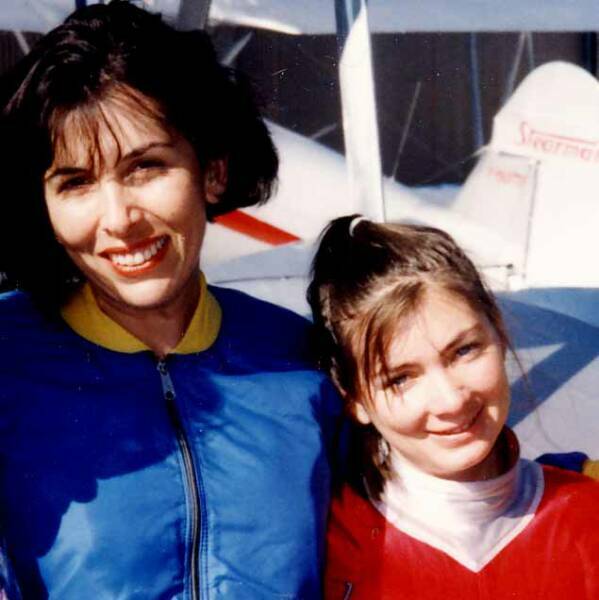 Her next step was coming to America and meeting Margaret Stivers, wingwalker with the Silver Wings Flight Team. 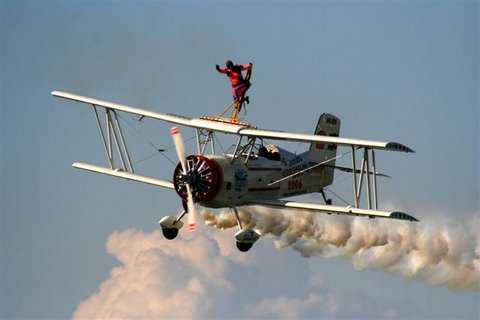 Margaret agreed to teach her to wingwalk and they performed several synchronized "formation" wingwalk shows. 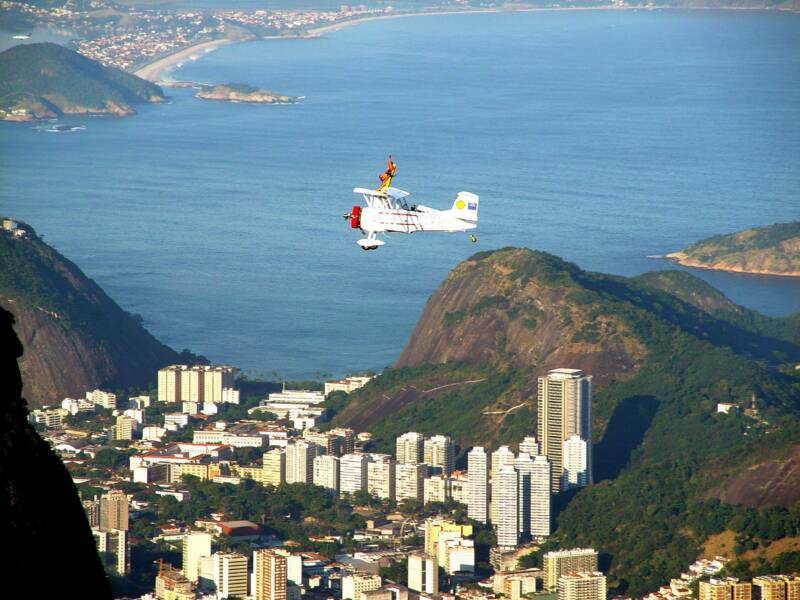 Marta returned to Brazil and she formed Brazilian Wingwalking Airshows. Today she showcases her art on an show cat with her talented pilot and husband, Pedro Mello. Link to her site. 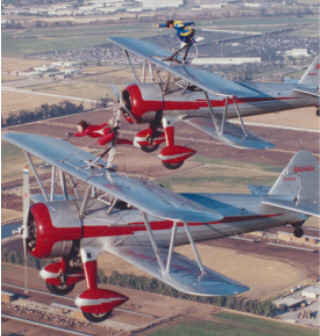 1995, Marta Bognar and Margaret Stivers performing a formation wingwalk in Chino, California. Marta Bognar and Margaret Stivers, 1995, Chino California, U.S.A. The photos above Rio De Janeiro are beautiful but they were very difficult to get. in this place near Turistic point. This was because of the wind. It was very very turbulent. Bumpy!!!! 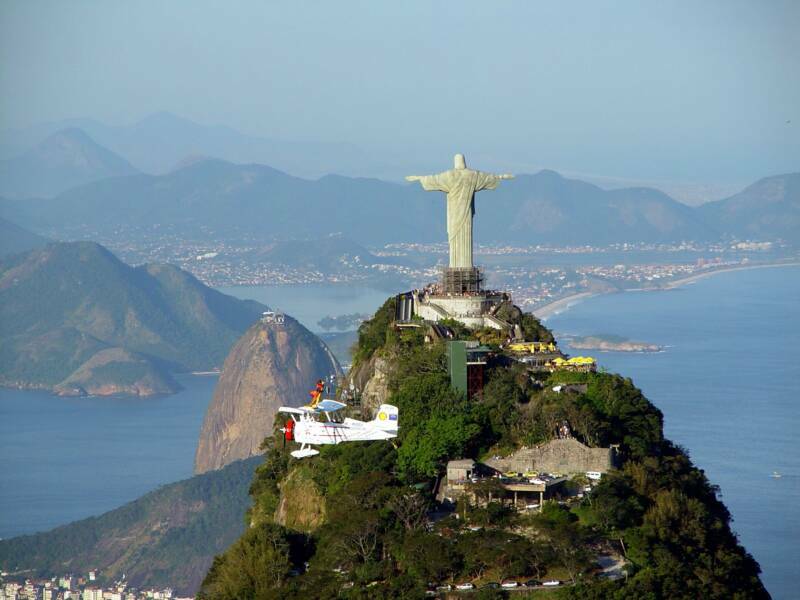 There are many mountains before Rio De Janeiro and the wind runs together between them. Do you understand me? I hope so. About Rio De Janeiro... the airplane with the photographer in it disappeared during the photo flight because of turbulence...too far... very far...really disappear. This flight was very special for me. Thank you for your support for me to fly in Broa. This is via Email and the grammar has been corrected. 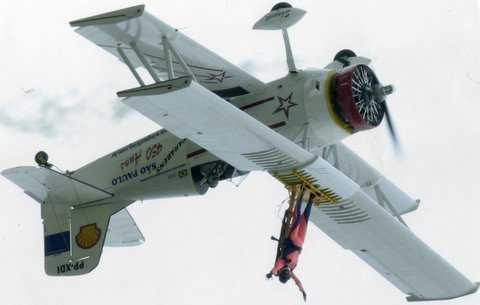 We congratulate Marta on a challenging wingwalk and the excellent photos to prove it.